A solid oak framed chair with both seat and back in veneered oak. The Søborg Chair was first designed by Børge Mogensen in 1950 with the ambition to combine industrial properties with traditional cabinet-maker's principles a concept still relevant to many modern Scandinavian designs. FREDERICIA re-launched the The Søborg Chairs chairs in 2014 to commemorate the 100-year anniversary of Mogensen's birth. In line with Mogensen's original ambition with the series, FREDERICIA have updated the features of the chair for contemporary production and lifestyle. 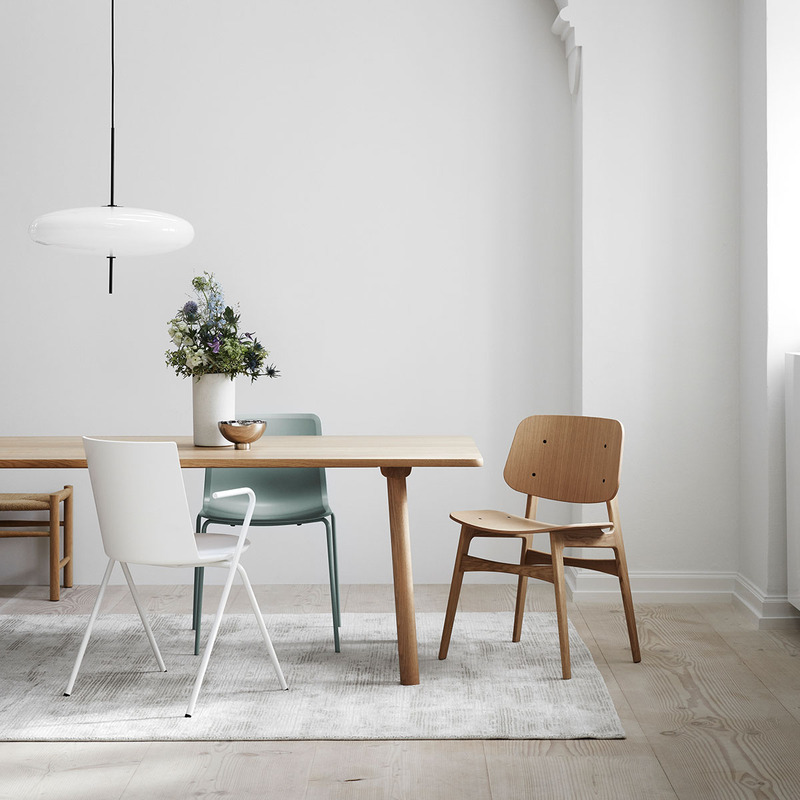 The Søborg Chair is an important piece of design history. Also available upholstered or in a steel leg version.